In 2011, the scope of ‘Project Annapoorna’ was extended to food cooking activity. This consists of cooking food for around 300 people. The food would be served at the ‘Salvation Army Soup Kitchen’ . This is a once-a-month activity. Property is adjacent to Ganesh Temple. Following are the Annual Donors for this project. On 12/10/2011, 300 Veggie Burritos were prepared and were served at Salvation Army. The food was prepared at SAI Kuteer. A total of 13 adults and 5 children helped prepare the burritos. On 11/12/2011, 330 Veggie Burritos were prepared and were served at Salvation Army. The food was prepared at Ganga & Krishnakanth Golakoti's house. 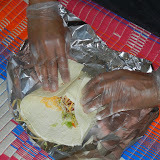 A total of 20 adults and 4 children helped prepare the burritos. On 10/08/2011, 350 Veggie Burritos were prepared and were served at Salvation Army. 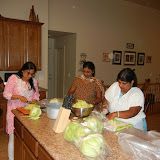 The food was prepared at Sudha & Balaji Sudabattula's house. 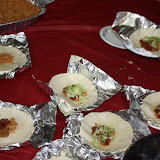 A total of 12 adults and 6 children helped prepare the burritos. On 9/10/2011, 320 Veggie Burritos were prepared and were served at Salvation Army. The food was prepared at Indrani & Srinivasulu Reppale's house. A total of 21 adults and 5 children helped prepare the burritos. On 8/13/2011, 300 Veggie Burritos were prepared and were served at Salvation Army. The food was prepared at SAI Kurteer (1093 W 10290 S South Jordan, UT 84095). 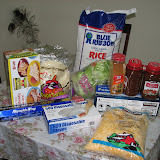 A total of 18 adults and 4 children helped prepare the burritos. On 7/9/2011, 340 Veggie Burritos were prepared and were served at Salvation Army. 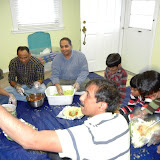 The food was prepared at Bindu Talluri & Udaya Kapu's house. A total of 15 adults and 5 children helped prepare the burritos. On 6/11/2011, 320 Veggie Burritos were prepared and were served at Salvation Army. The food was prepared at Swarna & Mahesh Pokala's house. A total of 9 adults and 6 children helped prepare the burritos. 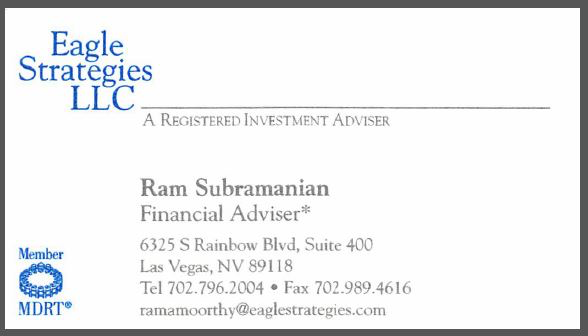 Anonymous Sponsors covered the event expenses. Gangalakshmi Golakoti in celebration of Krishnakanth Golakoti's birth day. On 5/15/2011, 320 Veggie Burritos were prepared and were served at Salvation Army. The food was prepared at Dr. Bhavanand’s house. A total of 17 adults and 8 children put hands together to make the activity possible. Bindu and Uday Kapu in celebration of their son Surya's second birth day. 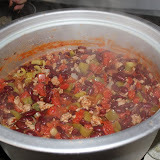 On 4/23/2011, 300 Turkey Chilli Burritos were prepared and were served at Salvation Army. The food was prepared at Kiran Koduru’s house.